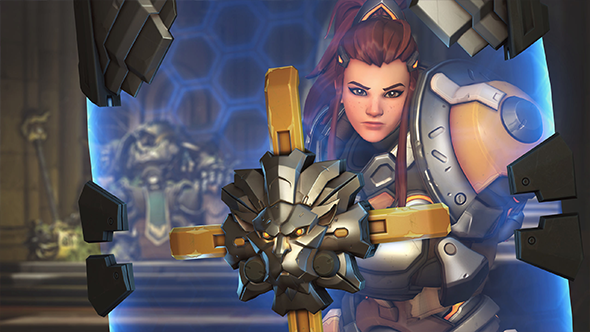 Overwatch patch 1.24 is taking shape on the PTR as we speak. So far, there’s a minor bump to Ana and a gentle, almost probing nerf to Brigitte, who’s been a disruptive must-pick since her introduction to the game. All good news so far, then, but nothing electrifying just yet. Read on for all the details. What’s the latest game state? See our Overwatch patch notes for version 1.23, which is now live. There’s no official release date for patch 1.24, but PTR cycles tend to last two to three weeks and to end on Tuesdays or Thursdays. The 15th or possibly the 22nd of May are reasonable bets. No longer hits allies with full health. Magazine size increased to 14 from 10. Maximum armour per player reduced to 100 from 150. Cooldown increased to 6 seconds from 5. Added Infinite Ultimate Duration and Scalable Ultimate Duration options for Moira’s Coalescence. Ana can now Nano Boost herself. Fixed a bug that prevented the ‘If found return to Road’ text from displaying on Junkrat’s bracelet when his Beachrat skin was equipped. Fixed a bug that prevented Bastion’s ‘Zwing Zwing Zwing’ voice line from playing if the Null Sector skin was equipped. We’ll update this post as and when more changes are uploaded to the PTR, or when the patch is released to the live game.